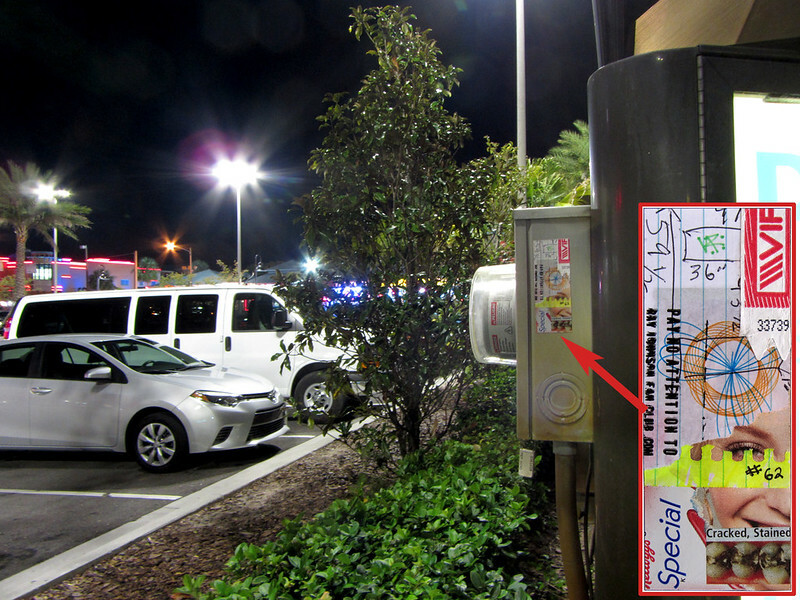 Sticker # 62 was completed on December 1, 2015 while sitting at Starbucks at SR60 & Belcher in Clearwater. These rectangular stickers measure about 45mm x 118mm. This sticker was left on an electrical box behind a bus stop on in Orlando, Florida, while I was there on a day-trip on 1/19/16. This was on Round Lake Road near the intersection of International Drive in front of a Walgreens, beside the Cooper’s Hawk Winery & Restaurant where I’d met an old friend. RJFC sticker # 62 left in Orlando.